The Appalachian Spring Suite is a narrated presentation of highlights from Appalachian Spring that gives the audience an inside look at the remarkable collaboration between Martha Graham and Aaron Copland. The dancing is introduced by text borrowed from Graham’s letters to Copland. Her eloquent and intimate descriptions of the characters, setting and atmosphere for the work are matched with the end result – the music and dance they inspired. 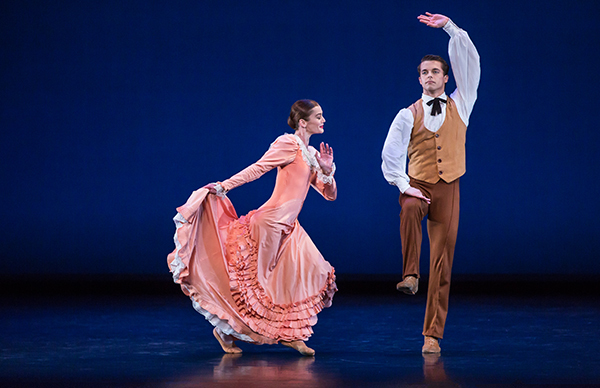 Copland’s Pulitzer Prize winning score and the clean, athletic Graham choreography clearly embody her early writings about the dance. The Appalachian Spring Suite offers the audience unique insight into the creative process of these two geniuses.